In 1996, the Baltimore Orioles made a run for the postseason as the wildcard team. The Orioles fell short in the playoffs to the division rival New York Yankees in the American League Championship Series. During that time, they were the most powerful team in baseball, setting a record for most team homeruns with 257. The record lasted only one season. 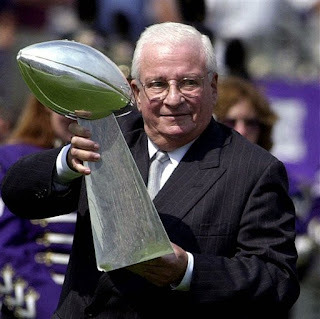 That same year, football returned to Baltimore after 13 years when Art Modell moved the Cleveland Browns into town. The Ravens however, would finish the season at 4-12. In 1997, the Orioles accomplished and incredible feat, going wire to wire in first place becoming division champions. The Orioles fell short in the American league Championship Series for the second year in a row to the Cleveland Indians and have yet to make the postseason since. That year, the Ravens improved to 6-9-1. They failed to reach the playoffs. In 1999, the Ravens experienced their first season without a losing record as they finished 8-8. This was coach Brian Billick's first season with the team. In 2000, the Ravens put together their best season to date, finishing at 12-4. However they failed to win the division championship and would be forced to play in the first round of the playoffs. The Ravens, having only one playoff game at home defeated the Denver Broncos. They continued their run on the road defeating the Tennessee Titans, Oakland Raiders to reach the Super Bowl in Tampa Bay. The Ravens defeated the New York Giants to become the fastest franchise in NFL history to win the Super Bowl. 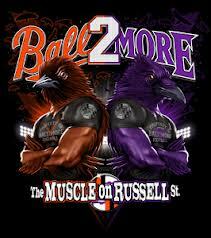 The Ravens established a winning culture for the football team, while the Orioles continued to fail to reach .500. In 2011, the Ravens played with a purpose. For the first time in franchise history, they swept their entire division and went undefeated at home. The Ravens received a first round bye in the playoffs. They defeated the Houston Texans, but would lose to the New England Patriots in the AFC Championship Game. When Orioles manager took over the team on August 2, 2010, they finished with the best record from that date on. However the playoffs was out the question. In 2011, the team went back to their losing ways. 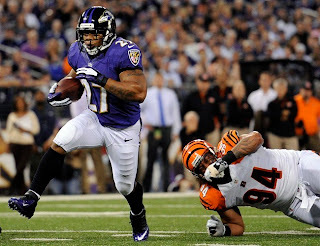 As the 2012 season began, Baltimore fans began to cry out of desperation for the team to return to its winning ways. The Orioles played well in the first half, but they were seven games behind the Yankees and just five games over .500. Fans in Baltimore began to fear the worse. Perhaps the trend for the Orioles is play well in the first half, and crumble in the second. As the second half began, the Orioles continued their winning ways. The Orioles finished with the month of August 18-9. They currently are behind the Yankees by just one game in the American League East. They begin a series with the Tampa Bay Rays who are currently trailing the Orioles by one game. This will be a pivotal three game series. The Ravens began the season with heavy hearts as the man responsible for brining them to Baltimore, Art Modell passed away a week ago at age 87. For the first time in franchise history the team opened up at home on Monday Night. The Ravens, wearing T-shirts of Modell under their jerseys played a near perfect game on both sides of the ball destroying the Cincinnati Bengals 41-13. September 2012 is a meaningful month for Baltimore sports.